In the manufacturing unit, production is heart of company. As personally filled that company owners pleased to listened noise of machinery reason is simple that they need to increase production day by day. Any quality management system operating company are always basic aim is increase production capability and production. Business plan is clearly indicate wishes of owners of company that production line is pivot in business plan. Heart bit line of company is production that need to concentrate at micro level analysis on to find out problems and its solutions to increase overall equipment efficiency for increase production in limited time, production’s analysis is also help to minimize deviation of delivery, in most cases production is responsible for the late delivery that down trend of sales if the customers are not satisfied with delivery reason is mostly industry are follow strictly its schedules that due to customers late delivery are not accept the its schedule became delay. 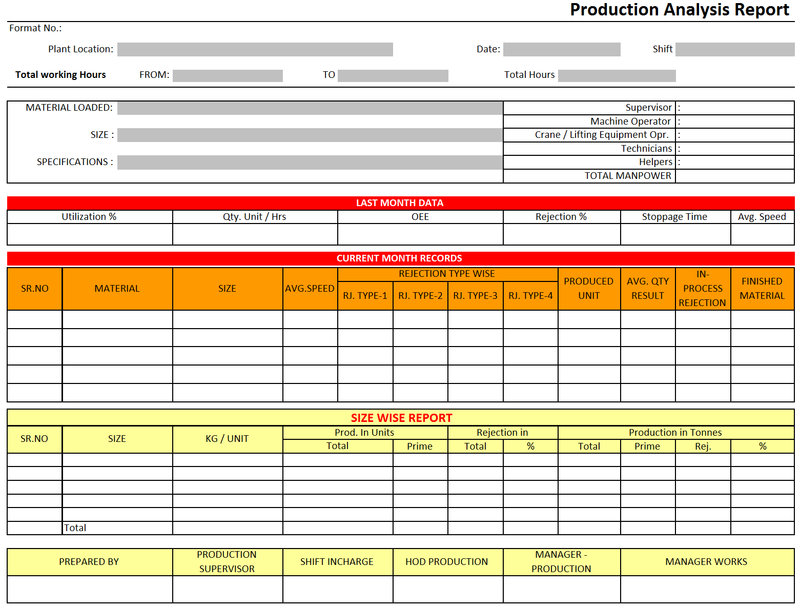 In the production analysis report is also great experienced for the analyzer person to identified the each stages’ of production line maximum ability and possible causes of trouble during analysis, management can get benefit to analysis the production and decisions that improvements to fix target of objective on depends on production utilizations and consumption of manpower and fuel.